Pune, February 11, 2019 :Puneites are going to get a chance to watch some unique and rare films specially on Dance. A one of its kind film festival ‘Sanchari’ is organized by Kalavardhini Charitable Trust and Loud Applause Dance Magazine in association with National Film Archives of India (NFAI). The festival will take place on February 16 and 17 in NFAI auditorium on Law College Road. The timing of the film festival is from10am onwards on both days. The festival in its second year, will present a good mix of short films, documentaries, feature films and interactions on dance. The entry to the festival is free for all with pre-registration. The eventis supported by Prajakta Paranjape. The films to be screened are from NFAI, Films Division and from private collection of dancers and other organizations which make them rare and rich in content and very useful for the students of dance and film making as well. The festival will be inaugurated at the hands of Sukanya Kulkarni-Mone, Actor, on Saturday, February 16,at 10am.Dr. SuchetaChapekar, veteran Bharatnatyam Dancer, Prakash Magdum, Director,NFAI, Methil Devika, renowned Mohiniattam dancer, Sunil Kothari,noted dance critic and historian will be present for the inauguration. The festivalwill screen a short film ‘Sarpatatvam’ (The Serpent Wisdom) as its opening movie. In many cultures, the serpent is a subject of fascination who is both feared and worshipped. In this movie, the dancer interprets the universal serpent philosophy through Mohiniattam and indigenous esoteric symbols. The movie is directed by Rajesh Kadamba and Methil Devika and the performance is by Methil Devika. There will be an interaction with Methil Devika after the movie which will be conducted by Dr.SuchetaChapekar. It will be followed by a movie ‘Unseen Sequence’. 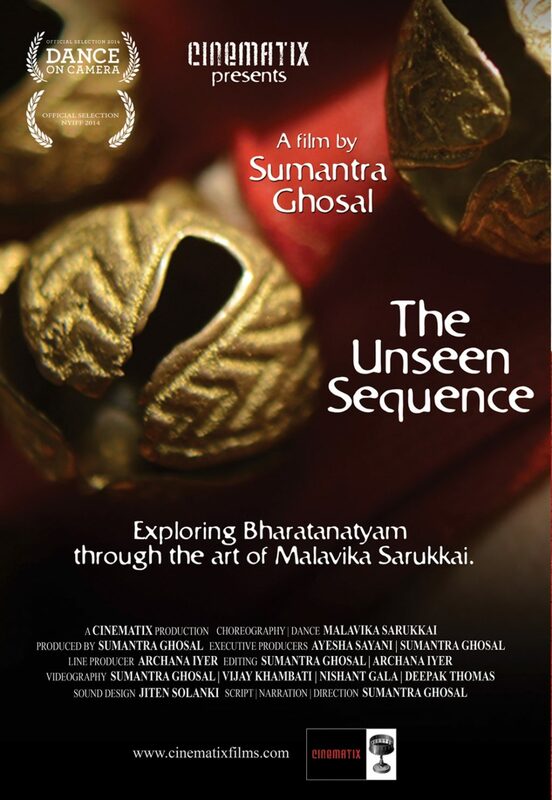 This movie is directed by Sumantra Ghosal and explores Bharatnatyam through the art of Dancer MalvikaSarukkai. After that, a dance film ‘Nilima’ will be screened. The movie is based on a poem by Author V.Madhavan Nair. The movie is directed by Aishwarya Warier. This movie will also be followed by interaction with Aishwarya Wariar conducted by Dr.SuchetaChapekar, renowned Bharatnatyam dancer.On the first day In the evening, a feature film directed by V. Shantaram- ‘Navrang’ will be shown. On the second day of the festival, i.e. February 17, at 10am, the movie ‘Vaikhari’ will be shown. This movie is directed by Lubdhak Chatterjee under the guidance of Guru Parwati Dutta. It primarily focuses on ‘padhant’ which is the art of recitation of mnemonic syllablesused in Hindustani Classical Music and Dance. The movie will be followed by interaction with Lubdhak Chatterjee conducted by Neha Muthiyan. In the noon, the movie directed by Savitri Medhatul, ‘Natale Tumchyasathi-Behind the adorned veil’ will be shown which explores the Lavni dance form. It will be followed by a film on Mrunalini Sarabhai. After that an enlightening question-answer session with Sunil Kothari will take place. On the same day, a documentary ‘Bala’ directed by Satyajit Ray will also be screened. It explores the art ofBalasaraswati,Bharatanatyam dancer, fondly known as ‘Bala’. The festival will close with the movie ‘Moving Stories’ directed by Rob Fruchtman, Cornelia Ravenal, Mikael Sodersten and Wendy Sax. ‘Moving Stories’ follows Battery Dance’s dancers, a dance institute by noted contemporary dancer Jonathan Hollander, as they travel to India, Romania, Korea, and Iraq working with at-risk youth through the ‘Dancing to Connect’ program.